Mr. Dobbs couldn't be reached Tuesday. Spokesman Bob Dilenschneider said Mr. Dobbs draws a distinction between illegal immigrants who have committed crimes since arriving in the U.S. and those who are "living upright, positive and constructive lives" who should be "integrated" into society. He said Mr. Dobbs recognizes the political importance of Latinos and is "smoothing the water and clearing the air." 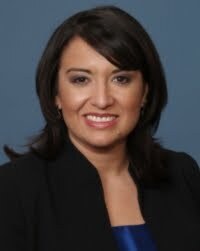 January Contreras was appointed as the Citizenship and Immigration Services (CIS) Ombudsman for the Department of Homeland Security on November 23, 2009. In this role she leads the Office of the CIS Ombudsman in its efforts to interact with the public and employers to enhance the effective delivery of citizenship and immigration services. Primary efforts include helping to resolve obstacles to accessing services, identifying areas in need of improvement, and recommending solutions to improve services. RAD~I have used the office of the Ombudsman before to assist my clients...I recommend them. The first minute or so is priceless! A former speaker of the Rwandan parliament warned that his country could again descend into chaos and violence, 15 years after the genocide that killed as many as 1 million people. hiring records to determine compliance with employment eligibility verification laws. sensitive nature of these audits. Computerworld - U.S. immigration officials are taking H-1B enforcement from the desk to the field with a plan to conduct 25,000 on-site inspections of companies hiring foreign workers over this fiscal year. The move marks a nearly five-fold increase in inspections over last fiscal year, when the agency conducted 5,191 site visits under a new site inspection program. The new federal fiscal year began Oct. 1. Immigration Law Weekly or ILW.com is a national resource for immigration news. I have a link to it here and even an rss feed widget. If you check this link you can see that they have published my article on why reforming immigration and having a legalization program makes sense for the country's future. What's this got to do with immigration? The threat of deportation for Mayumi Heene was a factor in the plea deal negotiation, the attorney's statement said. "Mayumi Heene is a citizen of Japan. As such, any felony conviction or certain misdemeanors would result in her deportation, even though her husband and children are Americans," the statement said. "It is supremely ironic that law enforcement has expressed such grave concern over the welfare of the children, but it was ultimately the threat of taking the children's mother from the family and deporting her to Japan which fueled this deal." Prosecutors in the case could not be immediately reached for comment. RAD~ Better late than never. "U.S. Citizenship and Immigration Services (USCIS) is announcing a 120-day period in which it will temporarily accept H-1B petitions filed without Labor Condition Applications (LCAs) that have been certified by the Department of Labor (DOL)." USCIS, Nov. 5, 2009.
click on the title to see the press release. I think this story shows that immigration enforcement is alive and well under the Obama administration. This sort of enforcement is more effective and cost effective than the swat like raids of previous years. It is also more humane than surreptitiously whisking away parents into immigration detention while the children are still at school (as happened in the Bianco raids in Massachusetts). Still, if this is not as emotionally disruptive to families - it is still disruptive of business. Perhaps some out of work US citizens or legal residents will end up with janitorial jobs now. But they won't stay in those jobs - and there won't be 1200 of them hired. The 1200 people who have lost their jobs will now stop contributing to the local economy. Some additional number of homes will likely now be foreclosed on. Some will leave and some will simply find other jobs (probably for lower wages in this economy). So although this type of enforcement is much to be preferred over "cowboy justice" -- legalization and reform of our immigration and employment laws are needed to avoid prolonging this recession. The Department of Homeland Security is finalizing a proposal to collect fingerprints or eye scans from all foreign travelers at U.S. airports as they leave the country, officials said, a costly screening program that airlines have opposed. The plan, which would take effect within two years, would collect fingerprints at airport security checkpoints, departure gates or terminal kiosks, allowing the government to track when roughly 35 million foreign visitors a year leave the country and who might be overstaying their visas, DHS officials said. The department plans to send the proposal to the White House as soon as next month for review and inclusion in President Obama's next budget. Well, security is important - I'll grant that. But if I was a potential tourist looking to visit the USA I might start looking for somewhere else to spend my vacation money. Somewhere that doesn't treat guests like criminals. Wiggiblawg Exclusive! Manchester USCIS and ICE moving! The new address appears as though it will be near 182 Palomino Lane in Bedford. I will take a picture of the new building when I get a chance. Immigration & Customs Enforcement (ICE) will be moving to the Norris Cotton Federal Building in Manchester. This will probably happen a while down the road...but will undoubtedly happen. I hope the Immigration Court moves an Immigration Judge and a couple of Government trial attorneys into the building as well. Anyway the Gold's Corner Plaza can go back to being an ordinary mini-mall without the high volume of visitors to US Immigration and the Department of Motor Vehicles (which has been gone a couple of years now if I remember correctly). Following a massive raid at the Greenville plant last year, Columbia Farms was charged with intentionally hiring illegal immigrants. A McClatchy Newspapers investigation of workplace safety in the poultry industry spurred the federal probe. Under the agreement, the government will dismiss charges against the company if it improves its hiring practices over the next two years and submits to federal monitoring at its eight plants in the Carolinas and Louisiana. "Our goal is not to punish corporations and force them to cut jobs, especially in these economic times," Walt Wilkins, U.S. Attorney for South Carolina, told McClatchy Newspapers. "Our goal is to make them a responsible corporate citizen. And this agreement accomplishes all of that." The settlement stipulates that "Columbia Farms accepts responsibility for its actions associated with the employment of unauthorized workers." House of Raeford has already begun revamping its hiring practices, Wilkins said. Over the past year, a newly hired corporate compliance officer has audited hiring procedures to ensure they conform to federal laws. "I am confident that we are seeing a true change in these companies' approach to hiring," Wilkins said. Today, at least 20 patrol officers of the Dallas Police Department - ranging from a rookie to a 13-year veteran - are in hot water after ticketing 38 motorists since 2007 for not speaking English. The problem - this isn't even a crime. Not in Dallas or anywhere else in the United States. "During these turbulent times, you can tell by the way that people look at you," he said. "My wife has told me: `Have you noticed the difference in the way that they look at us these days?' And you have to admit there's something there that you just can't identify. Attitudes have definitely hardened because of the harsh debate over immigration and other things like that." Yes, I think that is fair to say - attitudes have hardened. Attitudes about immigration and alot of other things as well. Sometimes it feels like this country is all about harsh attitudes on some issue or other and is about little else. I have worked in this field now for over a decade and I have noticed that if you want to treat people badly you have to objectify them, you have to name them so you don't have to think of them as actual human beings that you are being nasty to. So calling people "illegals" or "criminaliens" allows one to think it is OK to look down on them and consider them unworthy as people compared to we citizens. Americans (possibly humans in general) seem to have a need to define themselves by figuring out who they don't like. The man quoted above is a former Texas Police Officer not an illegal immigrant. I hope that the people that are giving he and his wife the sideways glances might come to realize that all Latinos are not illegal immigrants. Maybe someday those same people might come to the conclusion that people who immigrated here illegally are also people - not actual "aliens" to be feared and hated. Even if people must return to their home countries - I think it would be better for everyone if America could do that without the becoming as mean, petty and racist about it as some government and media opinon leaders have proven to be recent years.